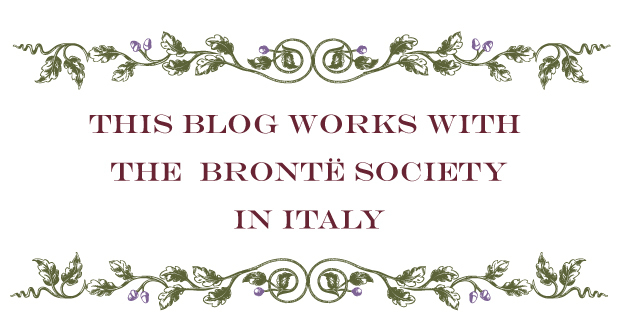 Charlotte great & small is the exhibition curated by American author Tracy Chevalier, which took place at the Brontë Parsonage Museum in Haworth on the occasion of Charlotte’s bicentenary year. During her first visit at the museum, Chevalier was impressed by the small, handwritten books made by the Brontë siblings – «Everything seems small in her life, she herself was really tiny», Chevalier said in an interview for the exhibition. Since the early stages of her writing career, Charlotte proved herself to be strong and determined. This is where the interesting research into the discrepancy between her being infinitively big and small begins. Many artists have analised this peculiar aspect; one of them is Serena Partridge, author of an extraordinary project called Accessories. Serena Partridge is a young British artist who operates in North Yorkshire. She works with needlework in particular, and creates accessories, clothes, small-scale items, taking inspiration from the past and from those objects described in novels. 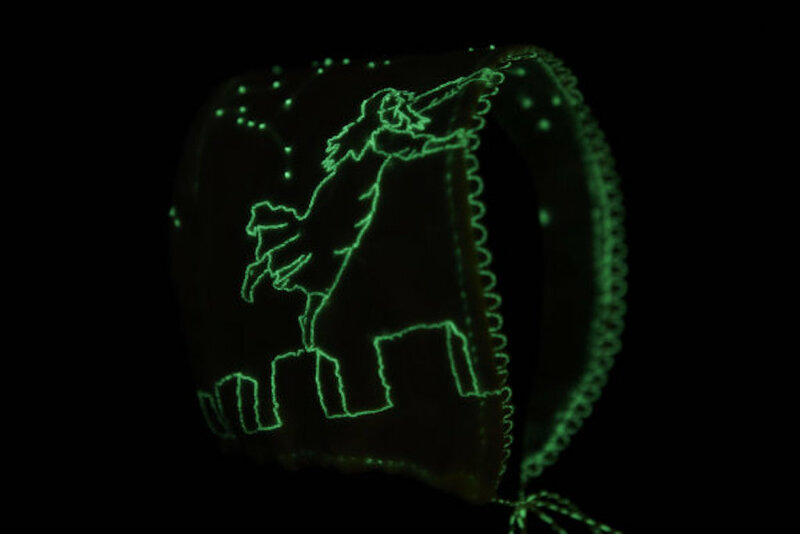 Serena’s technique is impeccable- not only does she create an imaginary world and bring it to life through coloured threads and embroidery stitches, but also she does it on minuscule surfaces. Hers is a small-scale universe, where each handmade object seems to belong in a dolls’ house. However, what’s more important for Partridge is not her small-scale working, but the way she plays with reality. Behind Accessories there is, in fact, an extremely clever idea. The cases at the Parsonage displayed Charlotte’s belongings like little books, gloves and shoes, alongside perfectly detailed labels with the dates and the materials used. These items were meant to raise a question: “are these the original objects that belonged to Charlotte, or were they made by the artist?”. 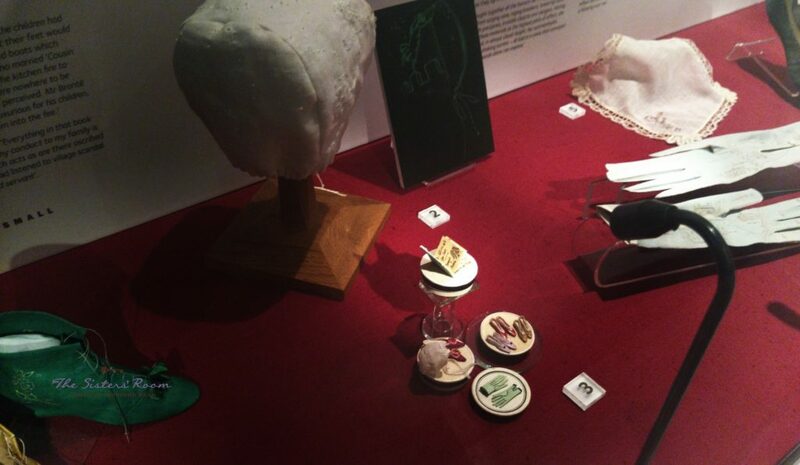 Partridge intentionally made a series of artefacts that seemed to be museum artefacts, but they were not. They were not copies either, though, and she wrote fake labels to confuse visitors and make them believe they were originals. Why would she do that? Because she wanted to cause a short circuit between imaginary world and historical sources. Domestic chores and needlework were very restrictive for Charlotte’s boundless imagination but, eventually, it took over. This is what Serena Partridge wants to demonstrate with her awe-inspiring artefacts. On the label of the Night Cap she wrote that it was made at the time of Charlotte’s stay at Roe Head- «It is embroidered with several winter constellations and a sleepwalker, wandering high upon castle turrets». Overlapping fiction and reality, Patridge imagines that while staying at Roe Head, rather than joining the others in their relaxing hours, Charlotte would spend her free time creating incredible stories of ghosts, tempests and sleepwalkers, that scared and entertained her companions. The artist focuses on Charlotte’s creative imagination, which overcame Haworth’s boundaries. Not knowing that it is all a game, visitors believe what is written on the label because it perfectly fits Charlotte’s biography. The Mourning Shoes are another interesting artefact. The “fake” label dates them back to 1850, and it reports that she repaired her tiny shoes with Emily’s hair – who had died two years earlier- and then decorated them with heather, as a memory of the moors. Partridge connects this element of fiction to reality in Charlotte’s life, and reports that in a letter written in those years, Charlotte declared how much she missed walking on the wild and windswept moors, where she could dream and escape reality. 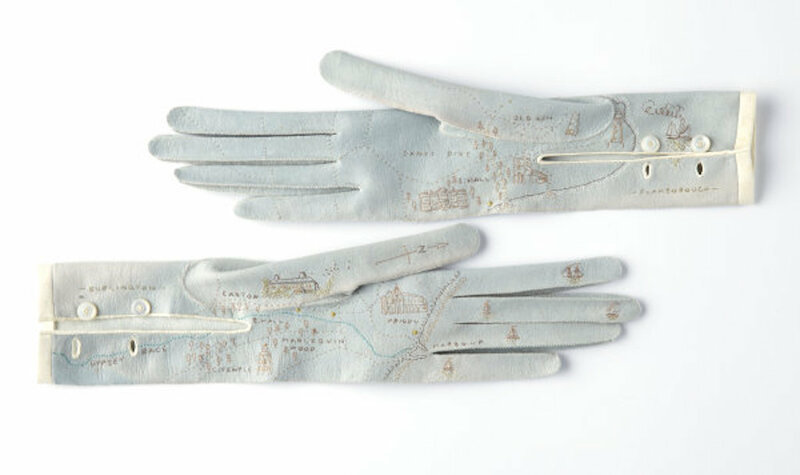 Finally, the Embroidered Gloves are a precious item that drew our attention. They are a pair of meticulously embroidered gloves dated back to 1983. According to Partridge’s imagination, they were inspired by a trip to Burlington that Charlotte went on with Ellen Nussey- a place recommended by their school friend Mary Taylor who had already been there. 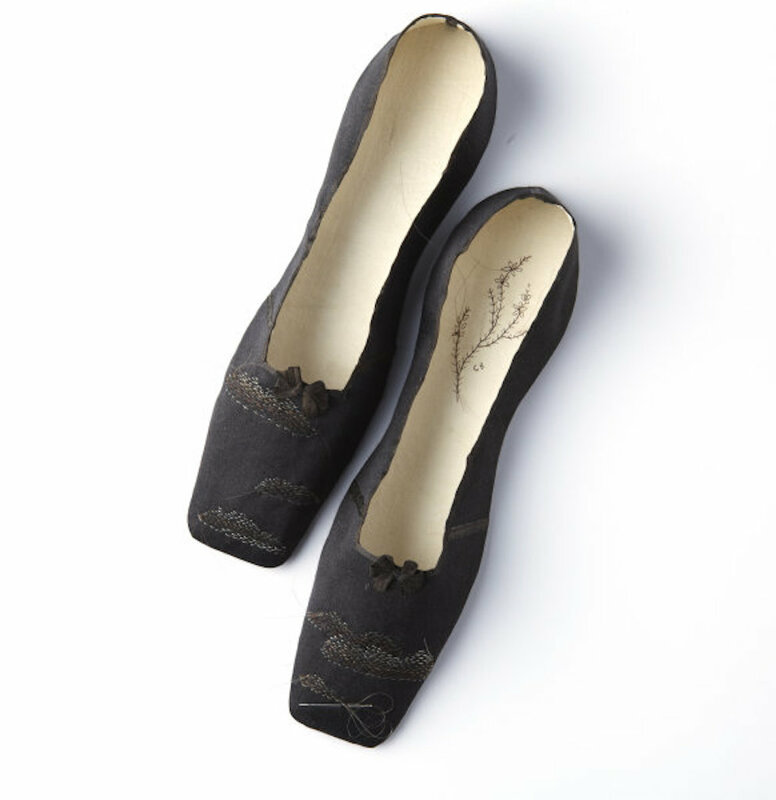 Before Charlotte’s departure, Mary gave to her a pair of shoes decorated with a map of the city. Charlotte added to the map some more landmarks like Easton House or Bessingby Hill, where she had seen the seaside for the first time. Every item introduced by Partridge seems to retrace perfectly Charlotte’s experiences. For every wonderful artefact, Partridge wrote a label that seemed to tell about the writer’s real story, providing a perfect biographical background for the origins of the item itself. However, it was all an extraordinary and inventive work of art – some kind of role-playing game where the artist gets in Charlotte’s shoes, and reinvents her belongings making them even more original than they already were. As a matter of fact, Partridge’s intention was to reveal how big and imaginative Charlotte’s small world was.